With so many unique wedding traditions out there, there is always something sweet about a classic bridal portrait session. 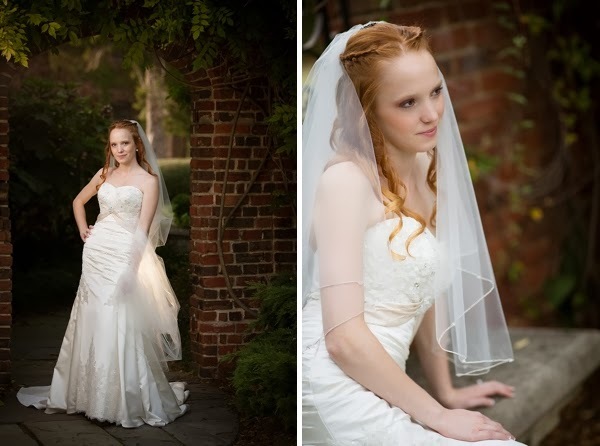 A Southern tradition, a bridal portrait session is camera time with just the bride and her wedding gown. These portraits typically are placed on a canvas or in a large frame to be hung at the wedding reception and then in the bride's parents' home. For a more modern twist, grooms are now being involved as well as day-after-the-wedding portrait sessions for a more casual and laid back approach. * Calmed nerves. Some brides need to see it to believe it, and bridal portraits can help soothe any anxieties about wearing a lavish gown, being put in a spotlight for an entire day, or even just being glammed up. * Stronger connection with your photographer. Not all of us are comfortable in front of a professional lens (myself included! ), and so any extra camera time can allow your photographer to get to know you as a bride and how you move and interact with your gown. A wedding gown is not an everyday wardrobe (sadly to many of us who love us some wedding gowns) and the structure and weight can feel foreign to many women. And since your wedding photographer will be one of your closest vendors on the day of, let them know how you're feeling about being bridal ready. * Extra portrait time. If your wedding day schedule is crammed and stretched for time, this gives you some peace of mind that you'll still get priceless portraits. And if you choose to have your groom involved, even better! No worrying about only have 10 minutes with your photographer on the day of. Trust me, your photog will appreciate having much more time with you two! When creativity has no time restrictions, that's when some amazing magic happens! * Perfect time for a makeup and hair trial. Let that styling serve a second purpose and get some mileage out of that beautiful professional look! 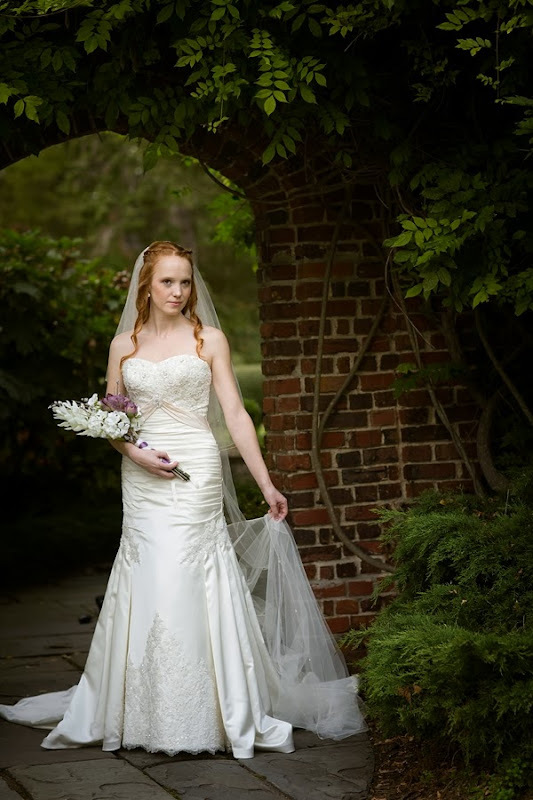 Book a bridal portrait along with your beauty trials so you can really see the entire look together. On the fence about your hair for the big day? Then you'll certainly know after seeing your bridal portraits. * Book your session at least 3 months before your wedding day. You'll likely have your wedding gown, you'll have plenty of time to get your prints/albums/canvases back from your photographer's professional print labs, and you'll still have the memories fresh. * Consider bringing in some of your wedding day details into the session. Do you have engraved spoons with your date? Or a reception sign with your new last name? 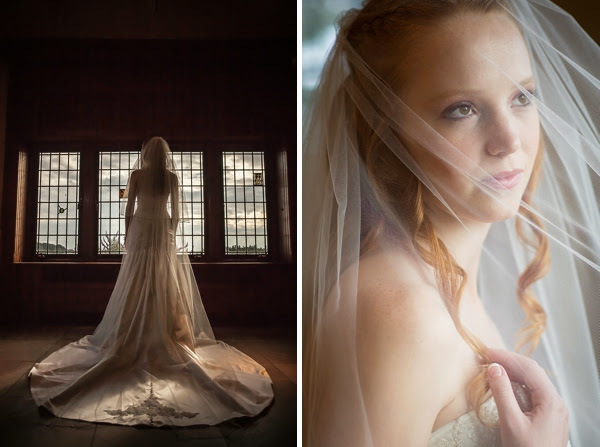 Your session will go seamlessly with your wedding when you tie in the theme. * Choose a location that you are in love with. If your wedding was too large to be at a certain venue, look into seeing if they allow portrait sessions. Sentimental over your family's home and land? It could be such a sweet tribute to such a special moment in your life to host your session there.